ALTESSE was “the buzz” of the BVI Spring Show last week. With the feel of a much larger catamaran, she features 2 cockpits, a flybridge, a champagne deck and beautifully-appointed queen cabins. Captain Rich and Chef Sarah want you to see their new yacht, dine on amazing food, play in the water on all the toys, snorkel, dive, or just relax on the floating island. 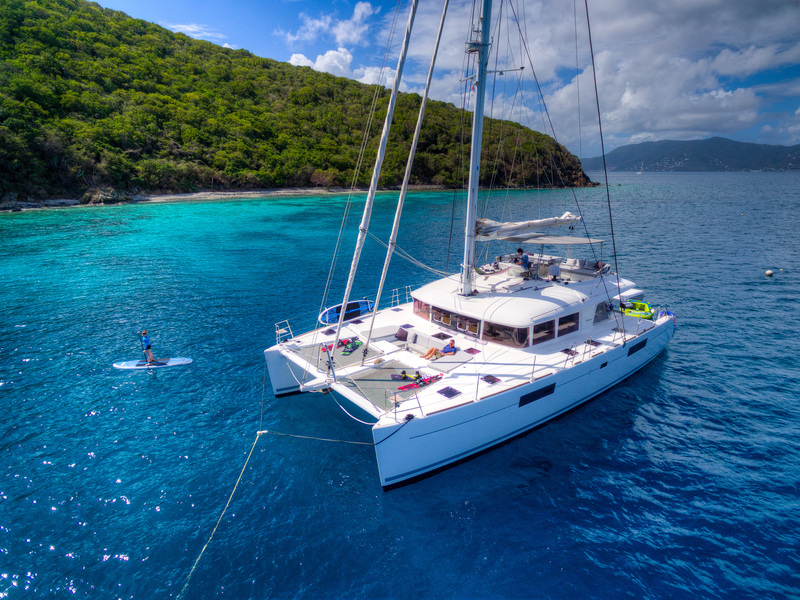 They are offering huge savings on charters taking place this summer and fall. For details, call Sherry at 866-994-7245. Click here to see a video of ALTESSE in action!